Outbreaks of infectious disease are, by their very nature, difficult to predict. Microbes evolve rapidly, making it challenging to determine what will be the “next big one.” To further complicate matters, our knowledge of microbes is incredibly limited. In the past decade, we’ve started to understand how much our microbiome—the collection of all of the microbes in and on our body—plays a role in health and disease. We’ve also found that we’re only scratching the surface when it comes to knowing about the microbes in the world around us, with an estimated 300,000 animal viruses lurking in the wild, undiscovered. However, we do have some ways to figure out what may be coming next, from pathogens both known and new. Here are four approaches scientists use to try to anticipate where, how, and when outbreaks of infectious disease might occur. With hundreds of thousands of viruses—not to mention an untold number of bacteria, viruses, and parasites—how do we figure out which ones could spread in the human population and cause us harm? It’s a big issue to tackle, and there are a number of approaches. Ideally, we want to find these pathogens before they start making people sick, so we can be aware of them should they “spill over” from their reservoir into the human population. Those reservoirs are usually other animal species, which account for 60 to 75 percent of all new infectious diseases, but may also include other environmental sources (such as soil or water). Finding these means carrying out labor-intensive sampling in humans and animals around the world. Virologist Nathan Wolfe is one such “pathogen hunter,” traveling the globe to collect blood samples from people and animals that might contain new viruses. This has already led to the discovery of viruses related to HIV in African hunters. Another “virus hunter,” Ian Lipkin of Columbia University, has been involved in the discovery of 500 new viruses over the past quarter-century. 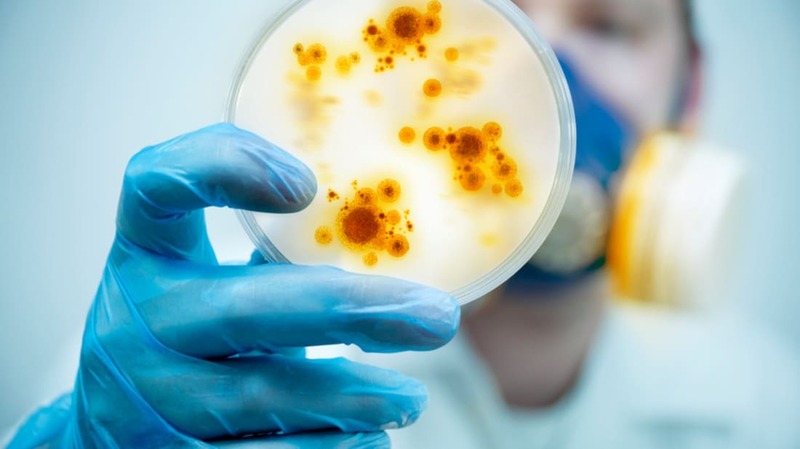 While we can find these new microbes before they cause disease in humans, we’ve also used the pathogen discovery approach to determine the cause of unidentified microbes that are making people sick. We’ve recently discovered the Heartland virus as a cause of disease in humans in the Midwest and South, and studies in wildlife identified the tick-borne virus in deer, coyotes, moose and raccoons in 13 states, suggesting it may be more common in humans as well but undiagnosed. The Bourbon virus was also recently found in a man from Kansas, who later died of the infection. Surveillance is very expensive. While ideally we’d see the types of studies described above carried out everywhere all the time, logistically this is impossible. So researchers have worked to identify hotspots—areas where new microbes are more likely to move into the human population. These type of studies have often pointed to impoverished areas that often lack coordinated surveillance as some of these hotspots—parts of Africa, Latin America, and Asia. With hotspots identified, we can, in theory, better target expensive surveillance into areas where we will get the most bang for the buck, and catch more diseases even though we’re using a smaller, more focused, net. Sometimes, we know what microbe to expect—we just don’t know where it will show up, or what version it will be. Influenza, for example, is a virus that’s constantly evolving and emerging. We saw the H1N1 “swine flu” pandemic of 2009, and saw pandemics that derived from avian influenza viruses in 1968, 1957, and most famously 1918. We know we’ll see another influenza pandemic sometime—but we don’t know when, or where it will start, or whether it will originate in birds or pigs or some other animal altogether. To try to catch these microbes before they become a problem, we look at high-risk populations of people or animals. For example, studies have tested workers and animals in wet markets in Asia where live animals are sold and butchered—and where viruses such as SARS and several types of avian influenzas have been found in humans. We can look for people who are currently sick with these infections, or look for evidence of previous infections via antibodies in people's blood. Or we can monitor places where they’ve shown up previously, like Ebola has multiple times in Uganda. The problem with these type of surveillance is that if we’re too focused in one area or on one microbe, we can miss an emergence elsewhere. That was the case in 2009 when the H1N1 influenza pandemic originated in Mexican pigs while we were watching the “bird” influenza virus H5N1 in Asia. It happened again in 2013 when Ebola took us by surprise in West Africa because we were expecting any outbreaks to appear in Central Africa. The good news is that any data we have on existing infections can be crunched by computers in order to try and predict where and when new outbreaks might occur. These models can incorporate information about geography, climate, and dozens of other variables in order to forecast when and where infections might appear. This has been used recently to predict the spread of the Zika virus, and previously for malaria, Rift Valley fever, and many others. The downside is that this technique works best for well-studied microbes, though work is ongoing to create more general models. Perhaps one day in the future, we’ll be able to accurately predict and prevent “the next big one.” For now, we’re still vulnerable to the global ravages of the tiniest life forms on Earth.